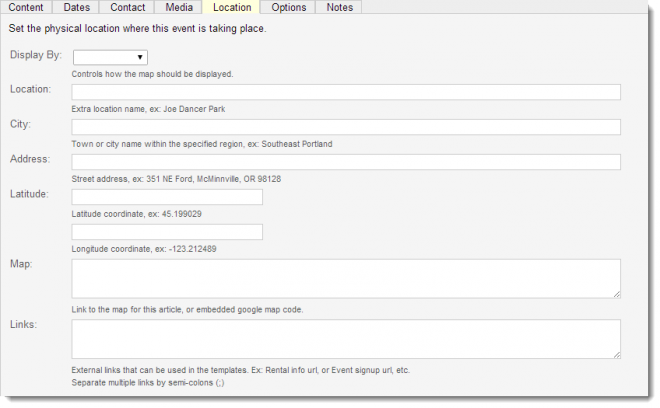 You can use addresses or GPS coordinates to include a map with event listings. The location tab is shown below. Select Address, Coordinates or Map from the drop down menu. To display by address. A specific reference like the name of a park, square, landmark, etc. Enter the complete address: street address, city, state and zip code. 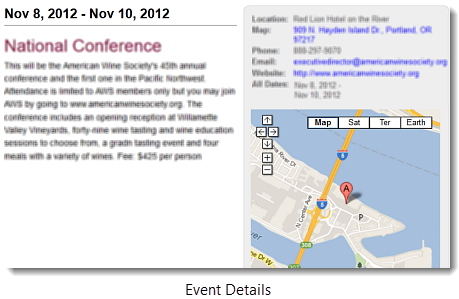 You can include links to related pages or websites. Separate your links with a semi-colon.